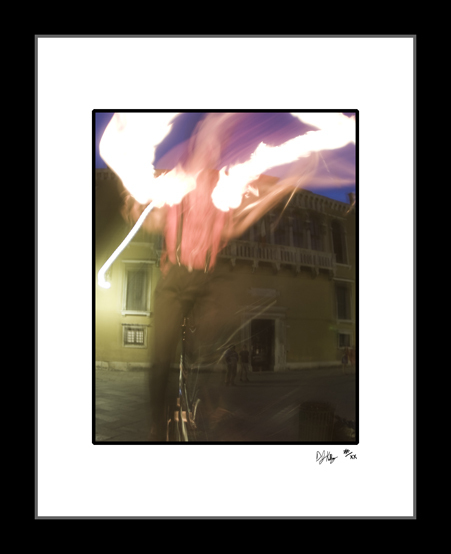 This fine art print captures a street performer riding a unicycle in Venice, Italy. Street performers can be found all over Venice, this one happened to be wearing a clown outfit and riding around. Sometimes, as in this photograph, he was juggling fire, other times he was performing tricks. This long exposure picture captures him riding through a piazza in Venice, Italy while playing with fire.